This western style sheet set is available in your choice of four designer colors. 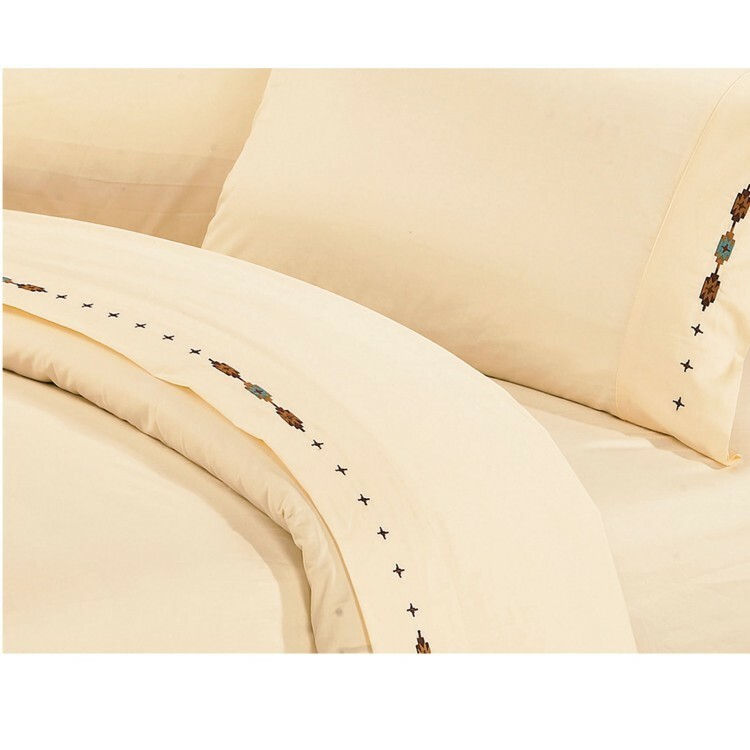 Add a touch of the west to your bedding ensemble with these premium embroidered sheets. This western style sheet set is available in your choice of four designer colors. 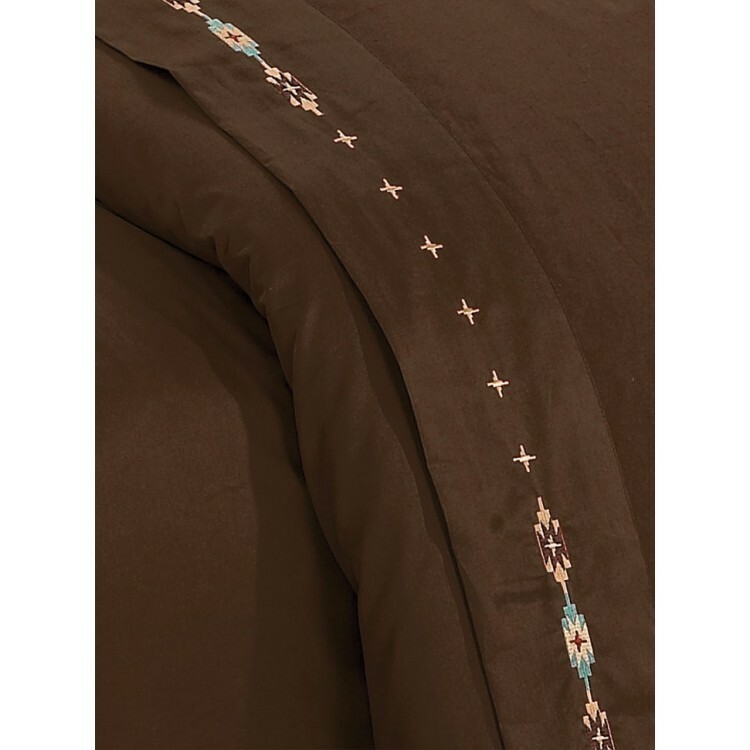 Add a touch of the west to your bedding ensemble with these premium embroidered sheets. Made of 350 count 100% cotton they have deep pockets to accommodate todayâ€™s larger mattresses. Sheet set includes: 1 top sheet, 1 fitted sheet and 2 pillow cases (1 with twin).